Do you know who has his fingers on nuclear button in India? Prime Minister? Army Chief? 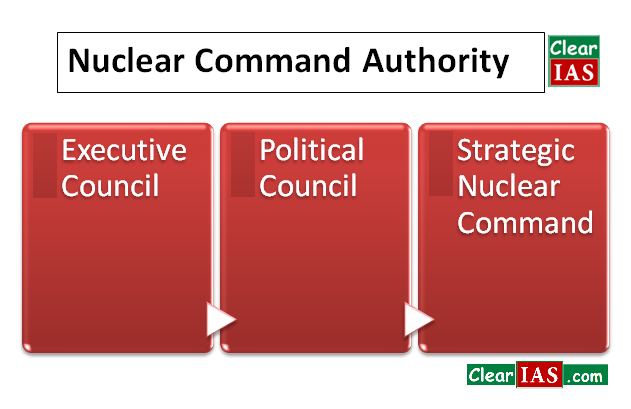 Again, what is the role of Nuclear Command Authority (NCA)? What is Strategic Forces Command or Strategic Nuclear Command? 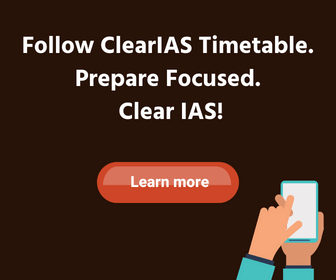 We hope this post to clear your doubts related to India’s external security as we discus in brief, topics like India’s Nuclear Weapon Program and principles like No First Use and Minimum Credible Deterrence. As long as the world is constituted as it is, every country will have to devise and use the latest devices for its protection. 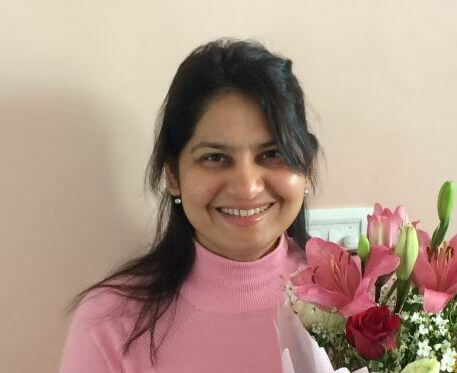 I have no doubt India will develop her scientific researches and I hope Indian scientists will use the atomic force for constructive purposes. But if India is threatened, she will inevitably try to defend herself by all means at her disposal. India’s nuclear program started on March 1944 and its three-stage indigenous efforts in technology were established by Dr. Homi Bhabha when he founded the nuclear research center, the Institute of Fundamental Research. India’s loss of territory to China in war of 1962, provided the New Delhi government impetus for developing nuclear weapons as a means of deterring potential Chinese aggression. India performed further nuclear tests in 1998 (code-named “Operation Shakti”). In August 1999, the Indian government released a draft of the doctrine which asserts that nuclear weapons are solely for deterrence and that India will pursue a policy of “retaliation only”. 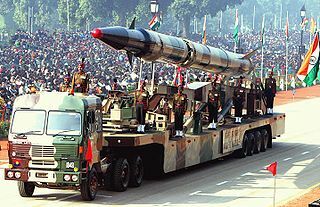 The document also maintains that India “will not be the first to initiate a nuclear first strike, but will respond with punitive retaliation should deterrence fail” and that decisions to authorise the use of nuclear weapons would be made by the Prime Minister or his ‘designated successor(s).’ The doctrine of “No first use” means “no first use against non-nuclear weapon states”, as clarified by our NSA. The doctrine “no first use against non-nuclear weapon states” reflected India’s strategic culture, with its emphasis on minimal deterrence. Names to remember : Nuclear Command Authority (NCA), Strategic Nuclear Command, Cabinet Committee on Security, National Security Advisory Board etc. On January 4, 2003, the Cabinet Committee on Security (CCS) constituted the Nuclear Command Authority (NCA). NCA has two councils : Executive Council and Political Council. The Executive Council is chaired by the National Security Advisor (NSA) while Political Council is chaired by the Prime Minister. National Security Advisor gives the inputs to the Political Council, which authorities a nuclear attack when deemed necessary. This mechanism of Political Council being advised by Executive Council and letting the “nuclear button remain with PM” was implemented to ensure that Indian nukes remain firmly in civilian control and that there exists a sophisticated Command and Control (C2) mechanism to prevent their accidental or unauthorised use. The National Security Council (NSC) of India is the apex agency looking into the country’s political, economic, energy and strategic security concerns. (Please note that NSC has roles beyond nuclear deterrance. The chief exective is the National Security Adviser. Prior to the formation of the NSC, these activities were overseen by the Principal Secretary to the Prime Minister.) The three-tiered structure of the NSC comprises the Strategic Policy Group, the National Security Advisory Board and a Secretariat represented by the Joint Intelligence Committee (JIC). How does Nuclear Deterrence Work in India? The executive council of NSA advise the political council of NSA in case of any security treat or nuclear action needed. The political council give orders to Strategic Nuclear Command. Strategic Nuclear Command posses all major nuclear arsenals, and it is the agency responsible for executing a nuclear retaliation. SNC requires approval from NCA for any nuclear action. Recent estimates suggest that India has between 90 and 110 nuclear weapons. Nuclear Triad is a term used to denote a nation which has capabilities of nuclear strike from land, air and water. India has tested its abilities in land, air and sea, but operational missiles are not there with regard to sea. From Land : Ballistic missiles with nuclear war-head in the Prithvi and Agni Series. From Air : Nuclear bombs from Dassault Mirage 2000s and SEPECAT Jaguars. (Free-falling and un-guided method). From Sea : Submarines : Sagarika K-15 missile in Arihant Submarine; Ship : Dhanush missile from ships like INS Subhadra or INS Rajput. Over all information to strategic of nuclear program for India.